We actually think Siobhan Rowden might just be the new Roald Dahl. Her first book, The Curse of the Bogle’s Beard, read like Charlie in a pickling factory. (With its own Mrs Twit thrown in.) 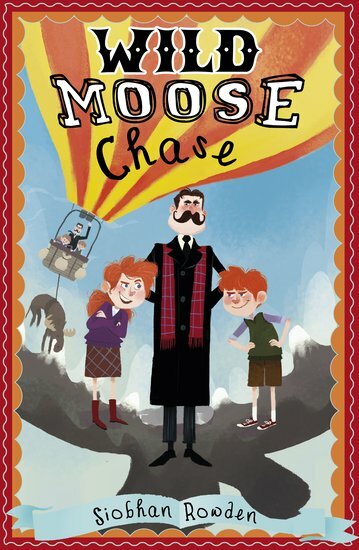 And now Wild Moose Chase proves Siobhan has got the laughs, the crazy plots and the grisly twists down pat. Just look at this storyline. The Queen wants moose cheese. It’s scrumptiously delicious, worth a fortune and really hard to make. Two rival twins are ready to risk everything to find the ingredients and win eternal glory. But first there’s a Bond-style villain to deal with: Dr X, who is plotting to poison the Queen!